and Pasadena City College. Habla Español. Dr. Dennis R. Buckley, D.C.
Infantile colic is a curious and mysterious condition. It is estimated that, on average, 22.5% of all newborns suffer from colic, defined as "uncontrollable crying in babies from 0-3 months old, more than three hours, more than three days a week for three weeks or more, usually in the afternoon and evening hours." But only "47 percent of infantile colic cases have disappeared before six months of age, and the remaining 12 percent of cases persevered until between the ages of 6 and 12 months." A randomized, controlled clinical trial on colic in Denmark that com-pared chiropractic adjustments to daily doses of dimethicone have concluded: "Spinal adjustments has a positive short-term effect on infantile colic." Numerous medical and nonmedical treatments have been studied, including music and sounds; vibration; dicyclomine hydrochloride; gripe-water; alcohol; atropine; skopyl; phenobarbital; merperidine; homatropine; and merbentryl. These treatments have shown either "no effect when compared to placebo treatment" or "serious side effects." The study used 50 infants who met the criteria for colic. They were divided into two groups of 25: dimethicone daily for two weeks or spinal adjustments by a chiropractor for two weeks. The infants over the two weeks received on average 3.8 adjustments. During the two-week treatment the parents kept a daily colic diary and nurses visited the homes to administer a weekly "infantile colic behavior profile." All 25 infants in the adjustment group completed the 13-day study. There were 9 dropouts in the dimethicone group. Five dropped out in the first week due to worsening of their condition. The average number of hours of crying for the chiropractic group decreased from 3.9 hours per day to 1.2. The dimethicone group went from an average 3.4 hours per day of crying to 2.4. Because the nine infants dropped out, their group would have fared much worse than the results suggested if they would have been included in the final tally. Spinal adjustments are normally used in the treatment of musculoskeletal disorder The effects of the adjustments may also effects visceral disorders or the visceral disorder of colic may be caused by musculoskeletal problems. More study on this phenomenon must be performed. If your infant has colic or colic like symptoms and traditional care from your pediatrician has not resolved the problem, you may want to consult with the doctors at Budincich Chiropractic Clinic who have experience treating infants. The treatments are safe and now have been shown to impart a positive effect on this condition. Get the full-text in pdf. 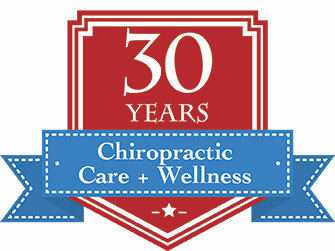 Budincich Chiropractic Clinic, Inc. assists patients from the San Gabriel Valley cities of Alhambra, Altadena, Arcadia, Bradbury, Duarte, Eagle Rock, Flintridge, Glendale, LaCanada, Monrovia, Montecito Heights, Monterey Hills, Montrose, Mt. Washington, Pasadena, San Gabriel, San Marino, Sierra Madre, South Pasadena, Temple City, and Tujunga.